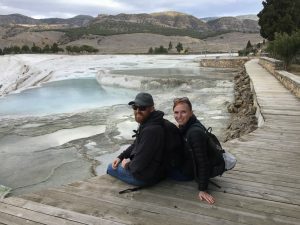 Before Peter and I embarked on our world tour, I published our travel budget for our RTW trip, which included our estimated daily expenses as well as my best guess for the cost of overland and inter-country travel. Although at times we feared we would run out of money before we completed the trip, a simple afternoon of calculations and cracking down on our spending reassured us that we would be just fine. We actually came home over $1,000 under budget! Below I list our original estimated budget next to the actual daily costs for each country. I include the rest of our expenses like transportation separately underneath. We kept track of every penny we spent using a combination of the app Trail Wallet and Google spreadsheets. *All of our budgeting is for two people per day and accounts for our food, accommodation, general tourist activities, shopping, and inner-city commute. *Our flying, bus, and train budget as well as our pre-trip expenses, visas, and major tourist attraction entry fees are separated below the daily budget. 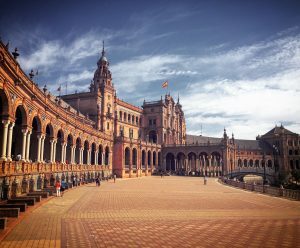 Nothing compares to the Plaza de España in Seville, Spain. $120.00 $112.41 Splurged here: hostels and private Airbnb, bought several expensive steak dinners and lots of chocolate. Does not include Peter’s hospital bill. Cooked several meals as well. As I mentioned in my original post, something to keep in mind when looking at these budgets is the time of year we visited certain places. We spent the off-season of October through December in Europe for instance, and the high-season of January to March in Southeast Asia. One thing we learned in Southeast Asia is that it’s entirely possible to visit that region on $50 per day for two people IF you are willing to eat street food. After two hospital visits from food poisoning (see Peru and Argentina) and witnessing many people not washing their hands with soap in developing countries, we decided the risk wasn’t worth what little money we saved. The further we got into the trip, the more picky we got with accommodation as well. 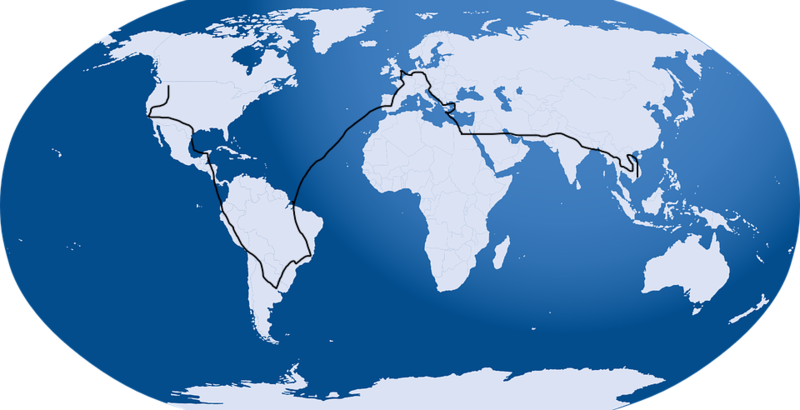 We could have found cheaper places to stay in many of these areas, but we would rather spend a few extra dollars and stay in a top-rated hostel than lose sleep in a dingy, party hostel. If you don’t have friends to stay with in Europe, check out my article on how to see Europe for under $60 per day for ways to stay on a budget. We found the rest of the countries relatively easy to stay within our budget, even with the cost of accommodation. 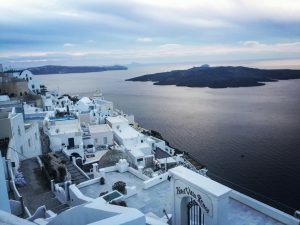 The cost to fly to Santorini was expensive for Europe, but definitely worth it! $12,000.00 $5,622.79 That’s less than half our estimate! 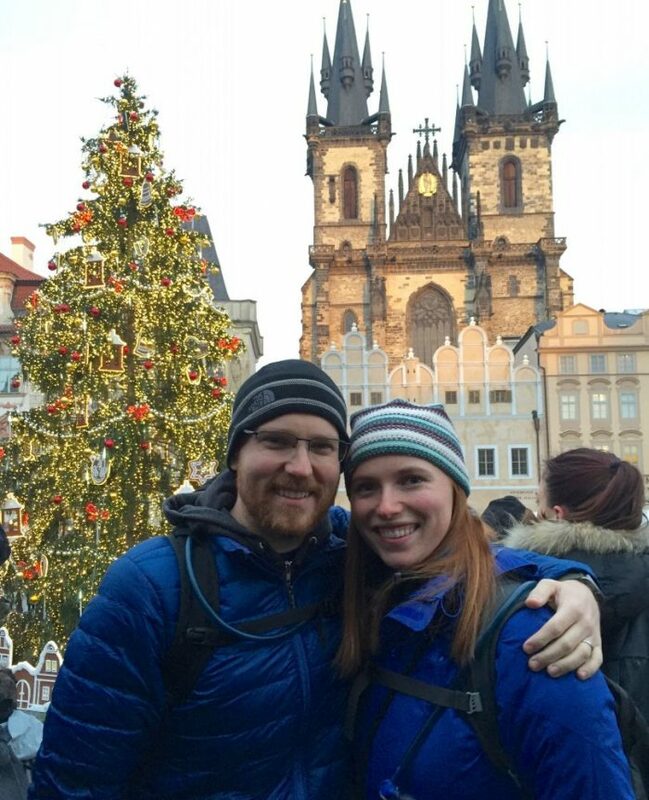 See my blog post on “Using Travel Credit Cards to Save Thousands” and the transportation section of my “Seeing Europe Under $60 Per Day” post to see how we did it. Walking around Pamukkale. The entry cost was negligible, but the view was stunning! Finally, if you’re interested in visiting some major tourist attractions we saw around the world, I’ve included the entry fees and tour costs below. Unless otherwise noted, all of these expenses are included in our daily budgets above. $515.00 Three day open water course and certification, four dives (*not included in daily budget above). This is about half the price of anywhere else in the world. So there you have it! We came in under budget, but it still looks like a lot when you see it all at once. However, it’ really no more than the cost of a new family car. If we could save for this in ten months with two middle-class incomes, others can too! See my article on “How We Can Afford to Travel for 9 Months” for more details.